Please join us for our June General Meeting. Our guest is Paul LaPorte of Ephemeral Ark Nursery in Port Perry which specializes in native woodland species. 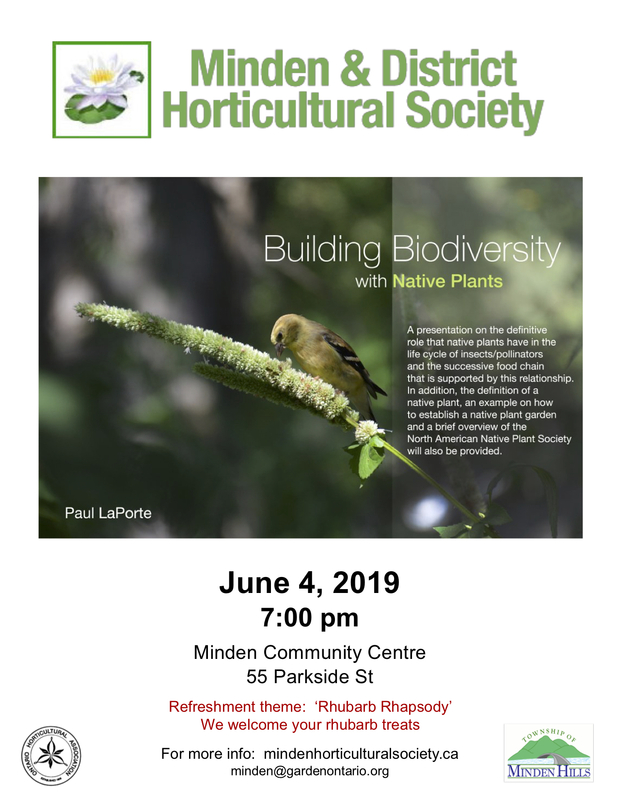 Paul is a passionate advocate on the importance of Ontario native plant species and will be talking to us about “Building Biodiversity with Native Plants”.